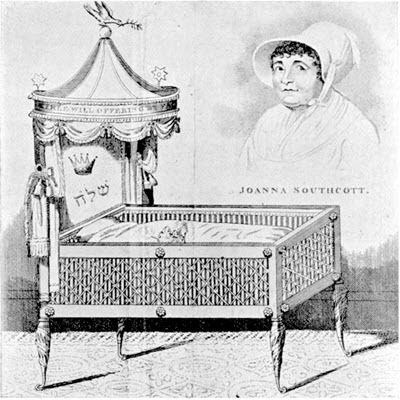 Joanna Southcott (April 1750 � 27 December 1814) was a self-described English prophetess who claimed she would give birth to the Second Coming of Jesus Christ. 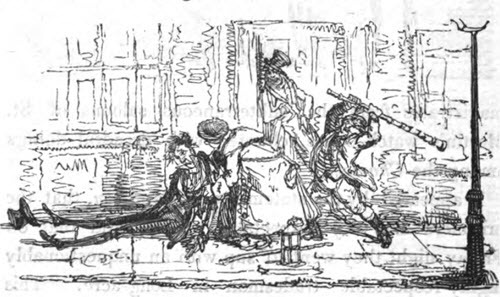 Hero preaching and writing attracted a considerable following during Cruikshank's time. Southcott was a farmer's daughter, born in a small village in Devonshire in 1750. Years of working in her father's meager fields hardened her visage and strengthened her muscles. When she reached adulthood, poverty forced her to leave her parents' farm and go work as a housemaid and washerwoman in the nearby city. At first glance there was nothing to distinguish her from thousands of other domestics, except for her peculiar obsession with religious topics. Despite her lack of any formal education, she spoke eloquently about Biblical subjects and wrote extensively, eventually attracting a considerable following of people who believed her to be divinely inspired. 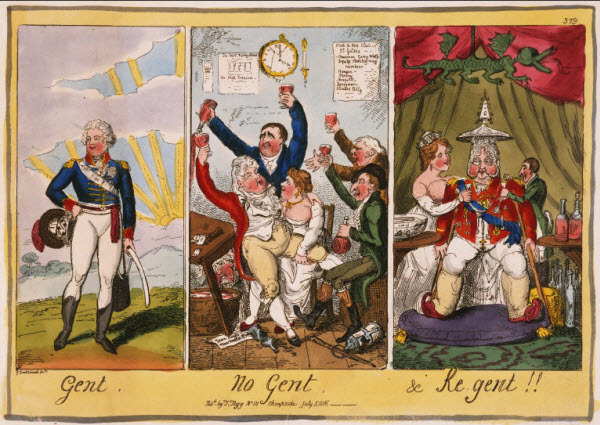 George Cruikshank devoted a considerable amount of his satirical talent to debunking and ridiculing Southcott. 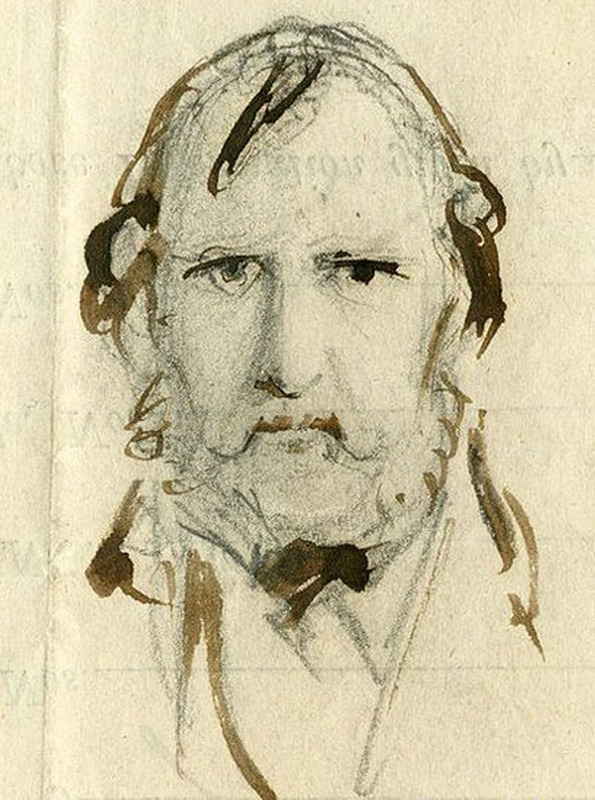 Southcott made thousands of predictions in an ecstatic trance, most of which are of dubious accuracy. However she is said to have predicted the Irish Famine and other significant events. Most notably, later in her career, Southcott pronounced herself the Woman in the Book of Revelations who would give birth to Jesus Christ upon his Second Coming. Despite being well into her sixties, and likely a virgin, she was pronounced pregnant by at least one doctor and her followers eagerly awaited the arrival of the Messiah. 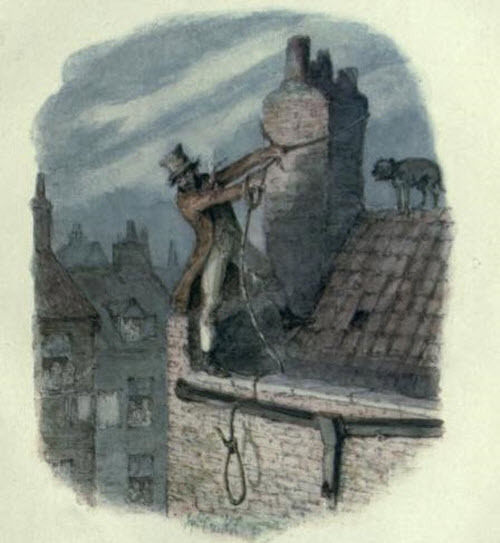 At the appointed time, Southcott did give birth to something and then promptly died. What she gave birth to was likely not a pregnancy but some discharge arising from a tumour in the womb, which had likely fooled the medical doctor. Despite having no baby, her followers were undaunted and declared that the birth had been a spiritual one. However her cult mostly broke apart after her death, though some still believe in her even to this day. One interesting footnote is that Southcott is said to have put some of her most important prophecies in a sealed chest and gave complicated and detailed instructions on who should open it in the event of a national crisis. The chest was opened during World War 2, though her instructions were not followed. The chest was found to contain a gun rigged to shoot whoever opened it, however it did not discharge and there is a dispute whether the box that was opened was really the same one that Southcott had filled with her most important prophecies.